Offering protection from moisture and environmental contaminants, USB Micro B and Type C receptacles are available, conforming to either the USB 2.0 or USB 3.1 Gen 2, depending on model. Surface mount and mid-mount SMT types are available in vertical or horizontal orientations, with several models including plastic mounting tabs for greater stability on the PCB. All models are also reflow solder compatible. “Meeting the USB 3.1 Gen 2 standard, the UJ31-CH-3-MSMT-TR-67 Type C connector series supports data transfer speeds up to 10Gbit/s and power delivery up to 100W at 20V,” said the firm. 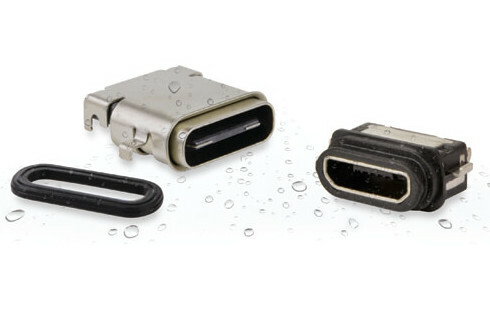 “This makes it a highly rugged, versatile connector for a variety of I/O applications in consumer and portable electronics, including smartphones, wearables, and industrial automation equipment.